Skoda's deliveries in May rose 4 percent to 81,500 vehicles because of strong demand from Russia and China, the Czech carmaker said today in an e-mailed statement. Through five months, the Volkswagen Group subsidiary's deliveries rose 9 percent to a record 405,500, topping its previous all-time high for the period of 373,400 set last year. In Russia last month, Skoda's deliveries increased 38 percent to nearly 8,500 vehicles. The Skoda Octavia led the way with a 49 percent rise in May sales to 4,500 units. In China, Skoda's deliveries grew 13 percent to 21,000 vehicles last month. After five months, Skoda's deliveries in China are up 8 percent to 100,600, pushing the automaker above the 100,000-unit mark in the country faster than ever before. China has been Skoda's No. 1 sales market since 2010. 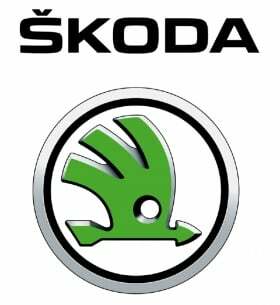 "Despite increasingly difficult conditions in western Europe, May 2012 was another month in which Skoda Auto managed to increase its deliveries worldwide year on year," Juergen Stackmann, the company's board member for sales and marketing, said in the statement. "Economic headwinds are going to be felt in many markets in the months ahead."